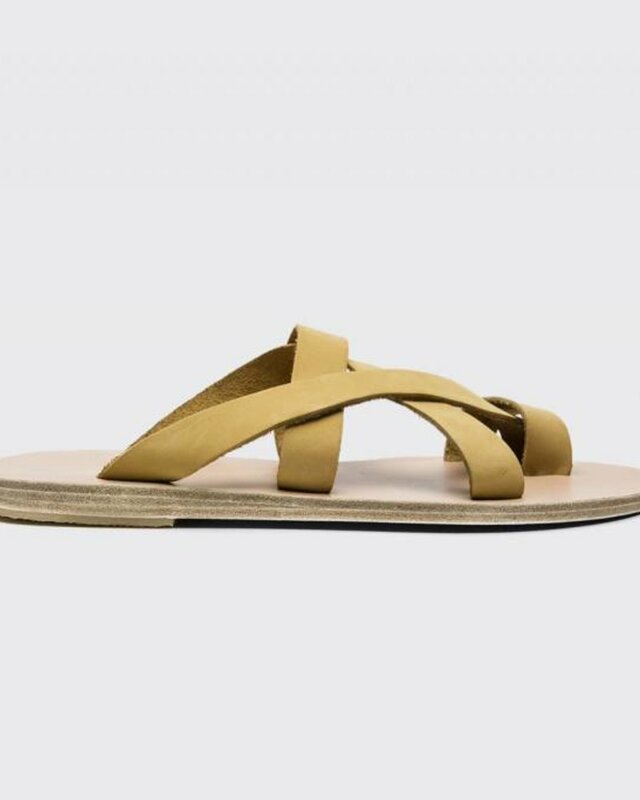 KYMA sandals are handmade in Greece using a range of fine Italian vachetta leather. 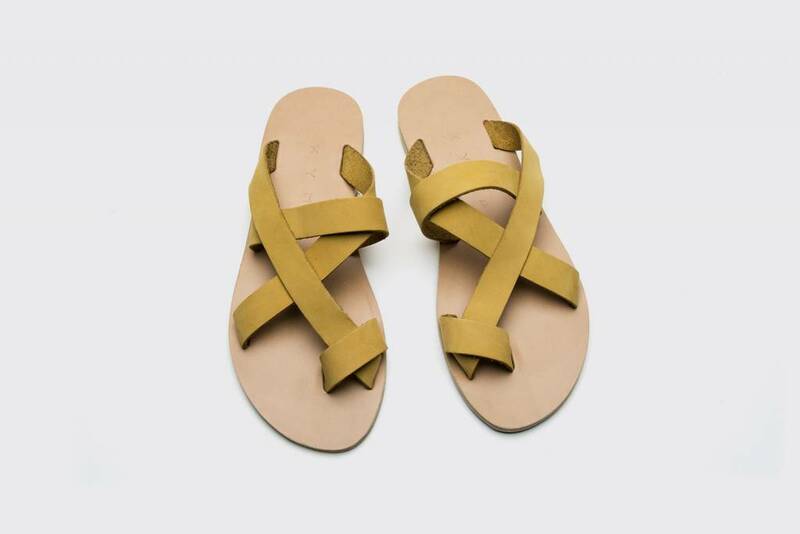 This Symi Sandal is made in a natural leather sole with mustard yellow leather straps. 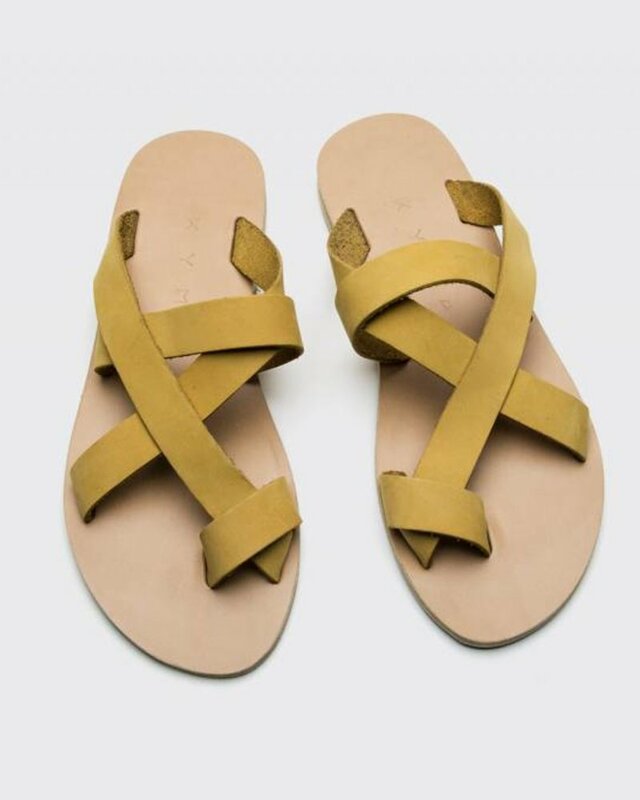 Vegetable tanned vachetta leather. 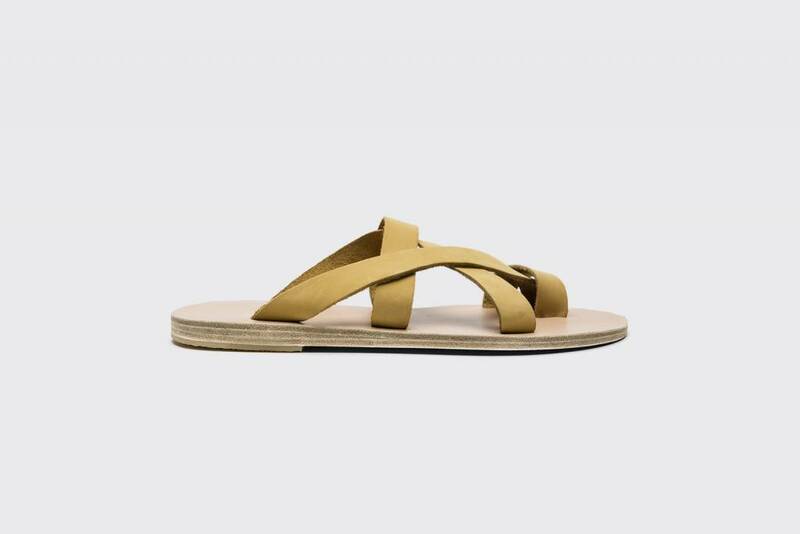 Slip on.